When one of the prime movers in UK luxury cloth needed a software system to match its aspirations, Mertex offered the tailor-made solution. 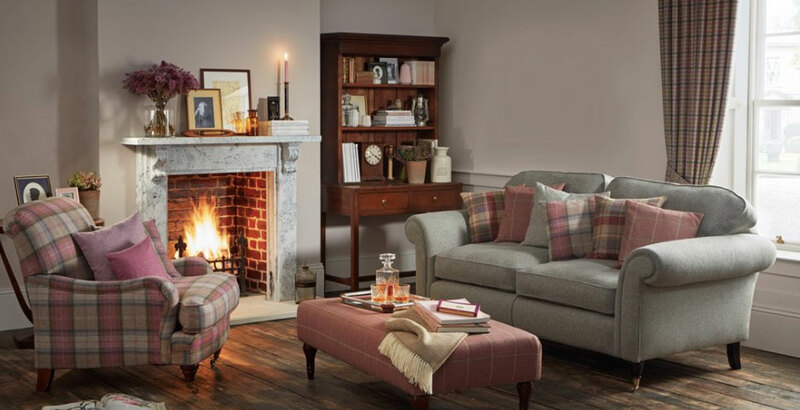 Abraham Moon tweed is favoured by both the Prince of Wales and Liam Gallagher and the West Yorkshire-based company numbers such giants of furnishing and fashion as Ralph Lauren, Dolce and Gabbana, John Lewis and Harrods among a stellar roster of clients. Its wool interior fabrics even feature in the White House. Abraham Moon's long history encompasses the rise and fall of the UK textile industry, with signs of better times ahead. Having withstood the onslaught of cheap imports, the company now employs 230 staff and is enjoying considerable success founded on the high quality of its bespoke products. But producing 30,000m a week of beautiful fabrics on its in-house looms required a user- friendly, adaptable software that's as strong on sales and marketing as it is on management of cloth. This is where we enter the story. “Whilst we are manufacturers, we are very much sales and marketeers as well,” says Managing Director, John Walsh. “In the past, we had a few big customers, but these days we are in such a big marketplace that we also have a large number of small customers. He says that by enabling full integration with all departments plus its reporting facility, Mertex is producing vast amounts of useful data. “Reflex Analytics will tell us about our customers, how we can interpret their buying patterns and give us the ability to help them. Reflex’s knowledge of the textile industry and ability to tailor the software to meet the needs of a vertical woolen mill business were key factors in winning the firm’s confidence. Quality manager, Scott Cooper, said: “When we talk about warp and weft, they know what we mean. “We have complex processes and to find a system that works is difficult, so there are always a few things to iron out.